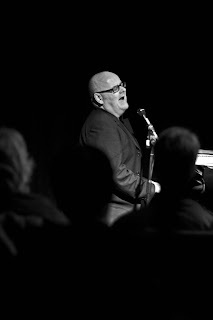 Its been called ‘the vocal jazz concert of the year with Ian Shaw and Georgia Mancio’ this sounds like a treat for all Leeds vocal jazz fans. Ian Shaw is well known to the audience at Seven Jazz, having been previously and having held a workshop there. I caught up with Georgia Mancio, via the power of social media (twitter @GeorgiaMancio) and email to have a chat before the concert. Mark Beirne-Smith – I read (I think Jazz Journal) that you started in Jazz at Ronnie Scotts London, could you tell me how your journey in jazz progressed from there? Georgia Mancio – Yes I worked as a waitress there for a few years. Music was in my blood (both my grandparents were professional classical musicians) but I was actually studying film-making at the time. What happened though was not only did I get to see, hear and talk to heroes like Betty Carter, Jon Hendricks, Andy Bey, Cedar Walton etc but I met local musicians. Encouragement and practical advice from great players like guitarist, Mike Eaves, and bass player, Andy Cleyndert, demystified the leap from fan to performer and gave me the confidence to give it a go. I took courses and studied privately but really I feel I learnt (am learning) the old fashioned way by gigging with highly talented and experienced players who were always generous with their knowledge and time. Mark Beirne-Smith – Your website www.georgiamancio.com tells me you were in Yorkshire 5 years ago, when was the last time you came to see us and when is the next planned visit after this gig? Georgia Mancio –Then I must update my website as the last time was only 3 years ago as part of my 'Silhouette' album tour! I played at Wakefield Jazz Club and actually I'll be back there on 24 May with my quartet (Tim Lapthorn - piano, Julie Walkington- bass, Dave Ohm - drums). It's part of a 20 date Jazz Services/Arts Council tour and Wakefield was the first club I called when I started putting it together a year ago! Mark Beirne-Smith – I know you for your solo albums (Peaceful Place, Trapeze and Silhouette) but not of any vocal duets, is this a new thing for you? Georgia Mancio –I work in the duo format quite a lot now - something that I've concentrated on as part of my opening sets at ReVoice! Festival. Last year I did a set with Liane Carroll which was absolutely magical but really in terms of vocal duets it's mainly been with Ian. 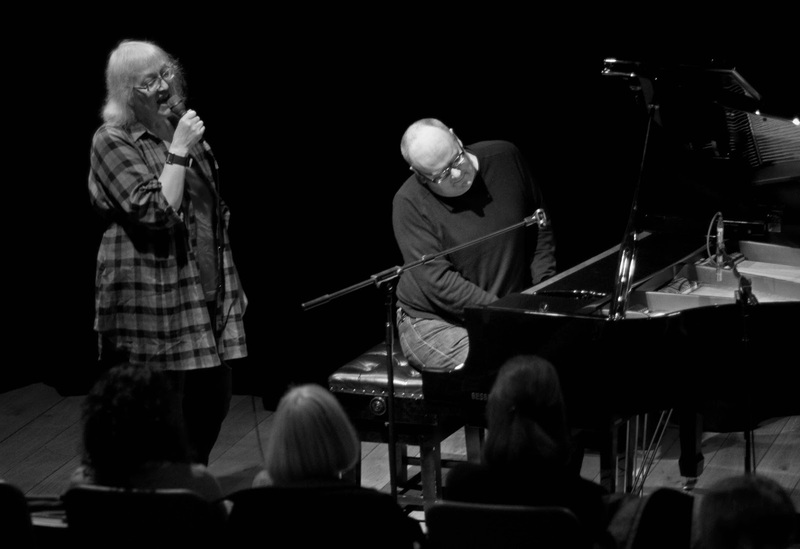 He sang a duet on my album 'Silhouette' (the title track written by Kate Williams and myself) and we've done quite a lot of shows together in the last 3 - 4 years. Mark Beirne-Smith – Will the gig at Seven Jazz be well known standards, interpretations of more modern songs or originals written by both of you? Georgia Mancio – It will be a mix of standards and great pop songs that Ian has made me see in a whole different light. We've not written anything together yet but Ian will be performing from his recent album 'A Ghost in Every Bar' which is a beautiful tribute to the songs of Fran Landesman. 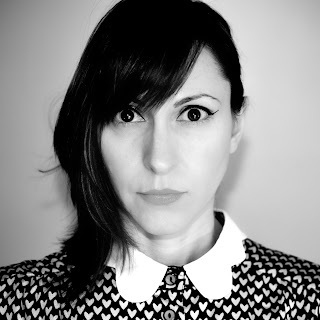 Mark Beirne-Smith – What is the line up, are you bringing some other musicians with you? Georgia Mancio – It's just the two of us as Ian will be playing piano too but given that he is also a gifted comedian it sometimes feels like there's a whole band on stage! Mark Beirne-Smith – What is next for this project, more gigs, recording? Georgia Mancio – We never seem to plan ahead but I'm always so delighted when the opportunity arises to work together again. It's unlike anything else I do - working so closely with another singer and one as talented as Ian really stretches me. Our shows are pretty spontaneous and yet I know I am in the safest of hands - always great, supportive accompaniment and an inspiring sparring partner. I'm (slowly) putting together an album of duets so naturally I'd love to include something with Ian. Mark Beirne-Smith – Where’s the next gig for you and Ian? Georgia Mancio – We're doing a special late set at the Pizza Express Jazz Club in London on 18th May although actually it's not late at all...10.30pm start. Mark Beirne-Smith – How are the plans shaping up for this years Revoice festival? Georgia Mancio – Very well thank you! It's number 4 unbelievably and looks set to be our longest yet - 10 days 10-19 October. I've nearly finished the programming and there are already 2 or 3 UK premieres lined up and some very interesting new projects from artists we have featured in the past. So I think it will be partly a retrospective and partly something new. I'd actually love to do a pop up edition - ReVoice! North. Mark Beirne-Smith – Do you like Marmalade? Georgia Mancio – The idea of it but no, there's something not quite right about it for me. Which might be how some people feel about jazz....! The gig review is to follow… after the gig! ‘Straight from planet jazz’ Ian Shaw and Georgia Mancio landed in Leeds, well actually they came by train from Kings Cross. For a chilly evening in Leeds, there was a good turnout filling the theatre at Seven Jazz with a very appreciative audience. Ian Shaw started the proceedings with a swinging ‘Feet Do Your Stuff’, a Fran Landesman song, followed by Joni Mitchell’s ‘The Last Time I Saw Richard’, ‘Making Whoopee’ including a extra verse from Ian and ‘Love Go Round’ another by Fran Landesman, which is no surprise as Ian Shaw’s latest album ‘A Ghost In Every Bar’ is songs by this writer. Georgia Mancio was then introduced with ‘I Only Have Eyes For You’ followed by ‘The Masquerade Is Over’. Ian then sang one of my favourites of the night, a stripped down version of ’All I Want Is A Room Somewhere’ from the musical My Fair Lady, showing Ian Shaw at his best, a moving, intimate interpretation. To finish the first set there was a medley of weather related Jazz standards with an extra treat of Georgia Mancio’s whistling skills providing an intriguing and fun solo leading on from ‘Singing In The Rain’. Both singers merged beautifully, the songs and their voices, to create a dynamic and entertaining show. The song choices, solo’s and connection between the two was apparent, especially in the medley’s. Song’s that stood out for me in the second set were, the Hal David songs ‘House is not a home’ with ‘Alfie’ and the first song introduced as a rude song by Ian, showing his flare for comedy and Georgia’s warmth shone through on the ballad ‘Moon River‘. A wonderful, entertaining gig.